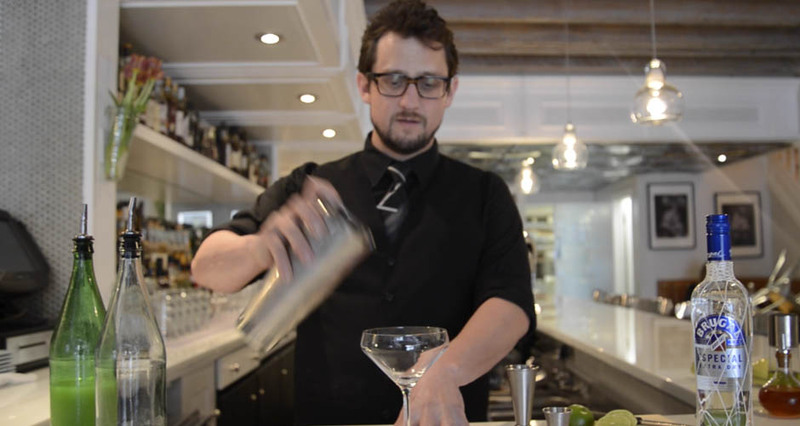 Greenwich Project's John McCarthy shows us how to make an essential summer cocktail. Welcome back to the First We Feast GIF Tutorial series, where we ask restaurant cooks and pro bartenders to show us how to step up our technique when cooking and making drinks at home. Sugar, lime, and rum—that’s all it takes to make a daiquiri, yet for all its simplicity, the classic cocktails is often the best test of a bartender. The perfect rendition is something you might chase your whole life—thankfully, making a very good one is extremely easy, and requires nothing more than the aforementioned ingredients, a cocktail shaker, and some ice. And with its combo of rum and fresh citrus, it’s a drink that will serve you well all summer long. 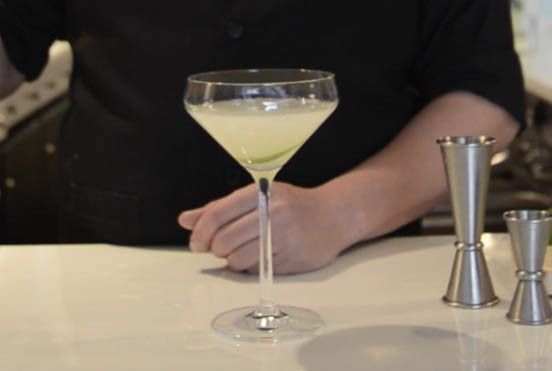 To find out how to make a daiquiri worthy of Hemingway (though not in the Hemingway style), we went over to Greenwich Project—a new bar-restaurant from the folks behind Mulberry Project and Vinatta Project—to get school by beverage director John McCarthy, who’s been tending bar in NYC for more than a decade. His twist on the classic involves two tweaks: “Some people do equal parts lime and sugar, but I like to do more lime so it’s boozy, tart, and refreshing—not sweet.” He also likes to use a dry white rum to keep the sweetness in check. Click through the GIFs above to see how its done, then enjoy the summer o’ daiquiris. Combine simple syrup, lime juice, and rum in a mixing glass. Add chipped ice and shake well. Strain into a glass and serve with a lime slice. Start off by pouring ¾ of an ounce of simple syrup into your cocktail shaker. Then add 1 ounce of lime juice. And finally, add 2 ounces of rum. McCarthy likes to use a dry white rum to reduce the sweetness and amp up the tart notes of the drink. Shake vigorously with cracked ice ice. Strain immediately into a martini glass (or a red Solo cup—whatever the vibe is). Garnish with a lime segment and serve.